Miroslav Barta is the Director of the Czech Institute of Egyptology, Faculty of Philosophy and Arts, Charles University, Prague. Jiri Janak is a faculty member of the Czech Institute of Egyptology, Faculty of Philosophy and Arts, Charles University, Prague. Collapse, crisis and transformation of cultures and civilizations are integral parts of human history. Underlying causes to crises may be searched for in internal factors within society itself, in external factors, or in a combination of both. While negative effects may be evident – such as starvation, epidemics, social unrest, war, natural disasters, overexploitation of natural resources – causal relationships are often complex and difficult to sort out. The ability to cope with crises has varied between societies and through time, and has depended on internal social and cultural factors. Crises may in some cases have led to societal collapse but may also have resulted in regeneration and social reforms that enabled further development and growth. The rise, peak, decline, collapse and regeneration of cultural complexes and civilizations are the main topic of this volume. Societal crises are discussed and analysed from an archaeological and interdisciplinary perspective, both theoretical and empirical, regardless of their geographical or chronological context. By comparing individual studies the volume aims to identify and evaluate the ever repeating patterns and processes in the history of human culture and society. John William Burn is a PhD candidate Egyptology at Macquarie University, Sydney. Has worked in the tomb of Mehu at Saqqara and at Meir, under Professor Naguib Kanawati. His previous degree was in the Environmental Sciences. His research interests focus on the latter stages of the Old Kingdom. He is currently investigating the potential of environmental influences upon the tomb decorations that were produced at this time. Significant amounts of scientific evidence, from many varied fields exists, suggesting that Ancient Egypt experienced a prolonged drought at the end of the Old Kingdom; the worst of which was reached about 4200 years ago. It is thought that, because of these conditions, the resource base of the land diminished, and the administration did not appear to have coped. As a direct or indirect consequence, this lead to the fall of the Old Kingdom. Since the environment influences human society and art reflects the culture that produced it, then we should be able to make inferences about past environmental conditions through an analysis of decorations that society produced. If Egypt did experience a severe drought during the late Old Kingdom, then the evolution, composition, and context of tomb scenes, for example, should reveal evidence of a developing environmental awareness or a changing societal response. The corpus of Old Kingdom tomb themes produced by the Oxford Expedition to Egypt was investigated to see if the decoration programs in tombs changed over the time frame in question. A distribution and abundance analysis of the data was performed in order to identify if a succession sequence over time could be identified. Within this succession, certain scenes relating to particular marshland activities were observed to come into prominence and constitute an increasing importance in the proportion of decoration themes. The data suggested that fishing techniques and technologies changes in proportion, complexity and form over this time. A summary of the data will be presented and a link between the artistic evidence and changing environmental conditions will be suggested. Finally an interpretation of the ecological conditions of the marshlands at this time will be offered. Andrzej Ćwiek, Egyptologist and Archaeologist, assistant professor at the Adam Mickiewicz University and curator in the Archaeological Museum in Poznań. His research interests cover the ideology of kingship, architecture and iconography, focusing mainly on the Old Kingdom and the reign of Hatshepsut. He is also interested in issues of landscape, geology and rock materials. Since 1993 working with Polish expeditions in Egypt (Tell Atrib. Saqqara, Deir el-Bahari), currently he is the director of the Polish Archaeological Mission at Sheikh Abd el-Qurna. El-Qurn, dominating the Valley of the Kings on the south, was long ago recognized by scholars as a landmark bearing symbolic value. Called ‘a natural pyramid’, it is assumed to replace somehow the pyramids of the Old and Middle Kingdoms. However, the New Kingdom royal burial customs and the related architecture, are interpreted as distinctive in comparison to earlier periods, thus the choice of the Valley of the Kings is usually attributed to its desolate character. The ‘pyramid’ is seen as being barely a fortunate feature, an additional motive at the best. The role of the Theban gebel, although stressed in relation to private mortuary sphere, is – paradoxically – underestimated concerning the royal burials. It seems that some outside perspective is needed. Recently D. Polz pointed out the fact that Mentuhotep Nebhepetra’s tomb, at the end of the long passage starting in his mortuary temple at Deir el-Bahari, is in fact located in the Valley of the Kings, and thus this king was the first royal occupant of the site. It was, however, Hatshepsut who made a decisive step, locating her (and her father’s) KV 20 in the Valley proper. In fact, she did much more, creating a mortuary complex, which itself was a part of a world ‘cosmological machine’, extended between Karnak and the western mountain. In this respect the close spatial and functional relations of Deir el-Bahari and Karnak, on both sides of the Nile, along the main world axis, parallel the relations of the royal pyramid complexes of the Old Kingdom to Heliopolis. An overall scheme of Hatshepsut’s mortuary complex: tomb-upper temple–causeway–valley temple, copies the structure of the Old Kingdom pyramid complexes. Certainly, her Djeser-Djeseru was not merely a mortuary temple, but a ‘Mansion of Millions of Years’, where divine was as important as royal. It has often been assumed that the case of Hatshepsut provides one of the earliest examples of a separation of the tomb proper from the ‘Mansion of Millions of Years’ related to it. But in fact it is not the case! There exists a serious difference between what would become a standard for the rest of the New Kingdom, and the spatial organization of Hatshepsut’s mortuary complex. The tomb of Hatshepsut and her temple are sharing the same space – the rock massif separating Deir el-Bahari from the Valley of the Kings that can be perceived as part of a gebel pyramid. Hatshepsut’s complex is thus exactly similar to the Old Kingdom pyramid complexes: the tomb is located inside the massif, and the mortuary temple is built against its eastern side. And although all later mortuary temples were really separated from the ‘pyramid’, since they were located at the edge of the cultivation, the gebel continued to fulfil the role of a pyramid. It seems that the pyramidal peak together with the massifs of rock surrounding the Valley of the Kings constituted a generic superstructure for all its tombs. One might imagine that the peak itself was thus a ‘pyramidion’ only, the bottom of the valleys being the ‘base’ level of this imaginary pyramid. The tombs were therefore hewn in and under the ‘pyramid’. How much this ‘natural pyramid’ was a ‘true’ pyramid and how much it was a return to some primeval ideas, should be a matter of future research. Andrés Diego Espinel is tenure researcher at the Spanish National Research Council (Institute of Languages and Cultures, Madrid). As an Egyptologist, he specializes in the Egyptian foreign relations during the third millennium BCE, the history and society during that period, and Pharaonic activities, either mundane or religious, in the deserts. He has been also involved in the study of the epigraphic material from the excavations of the Spanish Mission at Dra Abu el-Naga. 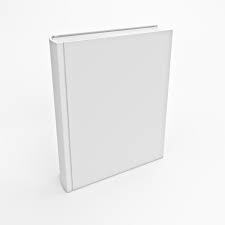 He has published several books and articles on different aspects of his research. This chapter aims to offer some fresh interpretations on two poorly understood features attested in the mountains and wadis of the West Bank at Luxor. The first one, already documented long time ago by Petrie and Mond and Myers, are several stone walls that enclose the lower and middle course of two wadis. The first one is at the north of the road to the Valley of Kings, and the other one in the Armant area. According to their position along their gentler slopes and across the mouth of minor tributary wadis, and to other archaeological and epigraphic data is possible to suggest that these walls formed part of two hunting grounds possibly of Roman date (an earlier dating cannot be discarded however). The other feature under study is the so-called high places at the feet of el-Qurn peak. These small stone chapels, grouped in two different clusters, were first attested by Norman de Garis Davies. They were made by Deir el-Medina workers, probably in connection with the station du repos du col. The religious meaning of these small structures will be reconsidered having in mind their emplacement, orientation, materiality, line of sight with some other important religious traits of the Theban geography, and other similar parallels. Linda Evans is an Environmental Historian who focuses on the human-animal relationship in the ancient world, especially the representation of animal behaviour in art. Following an exploration of the ancient Egyptians’ relationship with invertebrates, which was undertaken as a Macquarie University Research Fellow, she recently completed a four-year Australian Research Council Postdoctoral project in which she evaluated the impact of natural phenomena on Egyptian cultural expression during the pharaonic period. She is now directing a two-year project at the Middle Kingdom cemetery of Beni Hassan (forming part of a broader study by the Australian Centre for Egyptology, Macquarie University), in which she is documenting the remarkable animal representations at the site and exploring their cultural significance. We know that the natural world held great significance for the ancient Egyptians because many environmental features, such as plants, animals, landmarks, the sun, moon and stars, became the focus of religious, architectural, literary and artistic expression. But what did the Egyptian people actually think of nature and how did they view their place within it? Understanding how they related intrinsically to their surroundings is important because this will have influenced how the Egyptians reacted to both environmental opportunities and challenges. Cultural attitudes towards nature have been categorised in a range of studies in order to predict human response to environmental issues (e.g., Kellert, 1993; Ignatow, 2006). For example, anthropologist Florence Kluckhohn (1953) has identified three fundamental orientations to nature exhibited by cultures worldwide, past and present: 1) people subjected to nature, living at the mercy of what they perceive as a powerful and unpredictable environment; 2) people as an inherent part of nature, trying to live in harmony with the environment; and 3) people against nature, manipulating and controlling the environment (Altman and Chemers, 1980). Contemporary Western cultures largely exhibit the latter orientation, a dominating view of the environment that is reflected in our excessive exploitation and widespread transformation of the natural world. This perspective is ascribed to our Judeo-Christian heritage, which has emphasised the primacy of human beings and a God-given obligation to conquer the earth and dominate all living things. In contrast, ancient Egyptian response to nature (along with other early cultures) is frequently characterised as harmonious and balanced (e.g., Hornung, 1967; te Velde, 1980; Germond, 2001). Drawing on mythological and other allusions that highlight equality between all living creatures, it has generally been concluded that the Egyptians did not view humankind as a dominant force in the natural world, but just one part of a larger cosmic unity. A harmonious cultural response would be expected to have a limited physical impact on the environment, to shun expressions of human superiority, and to embrace all aspects of nature without prejudice. I propose, however, that the restricted range of plants and animals depicted in Egyptian cultural material, clear differences in the ways that humans and animals were represented, and modification of the landscape through cultural and economic activities, instead point to the Egyptians having adopted a more hierarchical and dominating approach to the natural world than is commonly accepted. Indeed, such a dynamic worldview is in accordance with the principles of maat, which demanded sustained action, rather than passive acceptance, to maintain the status quo. The tendency by Egyptologists to see Egyptian culture as particularly attuned to nature possibly derives from an unconscious assumption that theirs was a less complex relationship than that found today, i.e., we do not expect to see contemporary attitudes towards the environment in the ancient past. However, such biases may affect our ability to accurately assess how the Egyptians interacted with their world. This chapter explores ancient Egyptian and Egyptological environmental attitudes through an examination of artistic, literary, and physical data, and suggest that Egyptian values may have been closer to our own than we realise. Three mysterious “runs“ ( Vogellauf, Ruderlauf and Vasenlauf ) are attested among royal cultic scenes depicted on temple walls, or even on private coffins. Their oldest evidence dates back to the Middle Kingdom and the latest comes from the 1st century BC. These ritual scenes usually depict the king as if running towards a deity with an object or objects in his hand(s). The objects in question were identified as the northern bald ibis and sceptres of life, stability and power ( Vogellauf ), two heset -jars ( Vasenlauf ) and the so-called navigation tool and an oar ( Ruderlauf ). The aim of this paper is to envisage these rituals from several different points of view, bridging natural environment, iconography, language and religion in search for their interpretation. Ángeles Jiménez-Higueras is BA History (University of Granada), and MA Egyptology at the School of Archaeology, Classics and Egyptology at the University of Liverpool, where she currently is PhD candidate in Egyptology with the research project ‘Development and Landscape of the Sacred Space at Dra Abu el-Naga: A case study within the Theban Necropolis’. Her research interests are landscape archaeology, Geographical Information Systems -GIS-, funerary architecture, the New Kingdom and the Theban Necropolis. She has been working in Egypt since 2010 as member of the Spanish-Egyptian Mission at TT11-TT12, at Dra Abu el-Naga (Luxor). The aim of this chapter is to present the study of the spatial development of the sacred landscape of the southern area and the beginning of the northern of Dra Abu el-Naga from the 18th to the 20th Dynasties (1550-1069 BC). This multidisciplinary work analyses the topographical elements of this area, together with the geomorphologic, architectural and archaeological changes that Dra Abu el-Naga encountered throughout the New Kingdom in order to explain how the distribution of the territory took place. In this sense, I will resort to Geographical Information System’s studies as they enable us to connect the landscape features with the cultural, socio-political and religious background, which also played a very important role in the distribution of the territory. My working hypothesis is based on the existence of a clear connection between the private tombchapels and the mortuary and cult temples, as well as between the location, size and quality of the tomb and the status of the owner when it came to select the location of a tomb. The methodological approach that we are going to adopt is based on Landscape Archaeology, which suggests an approach to the spatial reality of ancient populations from different variables, defining landscape in a more holistic and relational sense, including pieces of evidence that due to their characteristics are closer to the symbolic and conceptual. Three different but complementary analyses of the tombs of Dra Abu el-Naga will be addressed: 1. Study and development of the tombs from an archaeological and architectural point of view throughout the New Kingdom, by focusing on their external part, as this modifies our vision of the necropolis and the landscape. 2. A Prosopographical and Genealogical Study of the tomb-chapels’ owners is going to be carried out, with special attention to the familial and professional relationships between the owners. 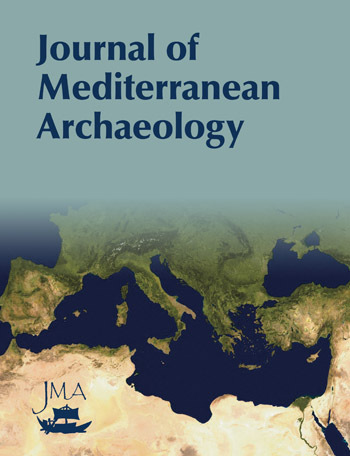 This study expects to verify whether social status and kinship relationships played a part in the choice of the place 9 for the location of a tomb, determining whether the tombs of family members were intentionally located according to a spatial relationship between them, and to ascertain whether there is a clustering of tombs or family complexes or not. 3. A study of the distribution of the territory and its connection with other areas of the necropolis and the surrounding religious-cultic zones by using GIS technology. In addition to the visibility study, a reconstruction of the ancient paths and processional routes will be carried out with a view to finding an explanation for this site’s layout after analysing the evidences and data collected in a survey at Dra Abu el-Naga South between February and April 2013. Claudia M. Kemna, part-time employee of the town of Freiburg, studied Egyptology and Coptology at the Universities of Marburg, Göttingen, the EPHE Paris and changed due to family reasons to the University of Cologne. She followed additional studies of Paléoethnobotany in Göttingen. Special interests: daily life, utilization of plants, animal keeping, religion. Under the rich legacy of Ancient Egypt there are the representations in tombs and temples concerning religion and daily life which found the interest of so many researchers and travelers in that country. One topic of daily life is the depiction of nature in its aspects of agriculture and gardening versus desert life and landscapes abroad. Especially during the New Kingdom, when Egypt became the dominant power in the Near East, an increasing interest in the nature of the subdued countries is perceptible. Though a lot of pictures are quite detailed which enable modern scientists to determine the species represented, there is a common sense that the Ancient Egyptians completely failed to draw the conifers of Lebanon, so that an exact determination of the species is impossible. Since LORETs article in 1916 it is mostly accepted that the aS-tree is a(n umbrella-)pine or a fir. Those who are not convinced follow CHABAS 1861 and SETHE 1908 who equated the aS-tree with the cedar of Lebanon. Some scientists remain neutral in translating aS as “conifer” others think even of juniper as a subspecies of aS (BARDINET 2008). So the translations of the Egyptian texts mentioning the aS-tree remain arbitrary, depending on the researcher’s opinion on the nature of the tree as well as its presumed area of exportation. The chapter reconsiders the criteria which led to the identification of the aS-tree with conifers and will question whether the Egyptians of the New Kingdom might have seen something different abroad from the Egyptologists of the Industrial Era imagine. It assumes that the representations of the aS-tree are correct and indeed show deciduous trees. A possible candidate will be presented and compared to conifers and the aS-tree according to the criteria which led to the conifers. Additionally, the chapter reflects further information the Egyptians give concerning habitat and timber production; on the one hand and technological qualities in respect of weapon production and shipbuilding and products of the wood on the other. Finally the areas of export of the aS-tree in Lebanon will be determined (which throws a light on the deforestation of deciduous trees in Lebanon during the Middle Bronze Age) and an explanation of the origin of the rivalry between the gods Bata and Iam in the valley of the aS-tree is given. Hana Navrátilová is an Egyptologist and historian with research interest in the graffiti of ancient Egypt during the New Kingdom. Her academic interests include the New Kingdom, Egyptian historiography, and the history of Egyptology, especially the international networks formed by schol­ars in the period between the 1920s and 1970s. More recently she has undertaken research for a variety of projects at the Griffith Institute at the University of Oxford, where she also worked on the Topographical Bibliography. Since 2011 she had been involved in the recording and publication of visitors’ graffiti in the pyramid complex of Senwosret III at Dahshur (Egypt) on behalf of the Metropolitan Museum of Art. The visitors’ graffiti corpus from Memphis and neighbouring areas includes texts from the archaeological sites of Abusir, Saqqara, Dahshur; and the site of Maidum near Fayyum oasis. The corpus consists of almost 400 texts of varied length. The texts are placed within recognised sacred spaces of royal funerary complexes and sun temples.They are also part of a wider landscape of the necropolis. Using mainly Saqqara and Dahshur material, the paper aims at suggesting a contextualisation of the graffiti within a broader sacred landscape of Memphis. Graffiti production might have been motivated by different aspects of religious experience as well as cultural memory. Claire Ollett is a Ph.D candidate in Egyptology and Duncan Norman Research scholar 2012, studies at the University of Liverpool where she gained her BA and MA in Egyptology. Her research interests are the architectural context, iconographic programme and textual composition of New Kingdom temples and monuments and the interconnection of these across a functioning, interactive and sacred landscape. She specialises in the monuments of Hatshepsut at Thebes. She has presented aspects of her work at international conferences in Prague, Cambridge and Birmingham and co-curated the exhibition “From Egypt’s Sands to Northern Hills: John Garstang’s Excavations in Egypt”. Hatshepsut directed substantial resources to the monumental development of the sacred landscape at Thebes: the divine temples of Karnak and Luxor, her cult temple at Deir el Bahari, and the development of religious festivals. This paper will investigate the mechanisms and communication strategies that she developed to legitimise her kingship within this sacred, monumental landscape. This process of legitimisation included a programme of royal self-presentation. Utilising a three-fold methodology, which encompasses an examination of architectural context, iconographic programme and textual composition, this royal self-presentation can be analysed to form a theoretical reflection on the meaning and functionality of the monuments themselves and the landscape as a whole. The issue of self-presentation is particularly relevant in the case of Hatshepsut as her reign as king was unusual and her legitimacy uncertain: first she was a female ruling within a predominantly male dynastic framework and second, and perhaps more importantly, there was already a legitimate king on the throne. This chapter presents elements of the integrated three-fold analysis, with a specific focus on the cult temple of Djeser-djeseru at Deir el Bahari: a temple built to Hatshepsut’s specifications and the epitome of the integration and symbiosis of monument and landscape. It will consider various research questions relating to accessibility and audience, whilst seeking to elucidate the motivations that lay behind the development of this functioning and interactive environment, in an attempt to establish whether there was a specific personal agenda. 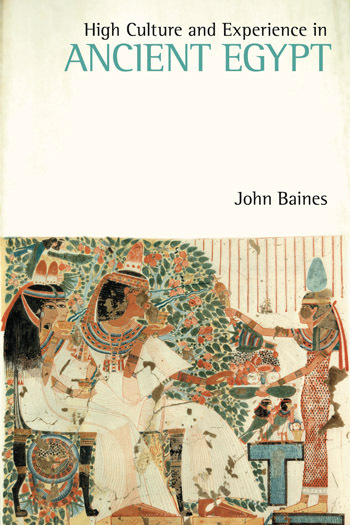 It also considers the connectivity and inter-relationships at play within the landscape, across the broader landscape of Thebes, and Egypt as a whole, and presents some current working hypotheses. Lenka Suková is Egyptologist and Archaeologist, working in the Czech Institute of Egyptology. Her main interest lay in the prehistory of northeast Africa and in the rock art and its interpretation, focusing on the economic, technological, cultural and social development in the region of Northeast Africa in the Early and Middle Holocene (ca. 9000–3000 BC). Since 2009, she has been directing the interdisciplinary research in the area of Jebel Sabaloka and the Sixth Nile Cataract in the Sudan and taking part in the exploration of the Institute´s second archaeological concession in the Sudan – at Usli. Rock art – non-utilitarian anthropic marks made on natural, unmovable rock surfaces by means of techniques involving reductive (petroglyphs) and additive (pictograms) processes – constitutes an archaeological source of a peculiar nature. It is a direct testimony left behind by peoples of prehistoric and historical times of themselves and their lived and/or spiritual worlds as they experienced them and/or conceived them. The complex spatial and temporal dynamics on some surfaces further shows that the pictorial statements made by some artists at one time were added to, modified, or even reduced by others who felt the urge to leave their own characteristic trace on the particular panels and thus to represent themselves on or to appropriate the panels and to charge them with extended, updated, or even new – their own – meanings. To extract the exact – and often layered – meaning these images of distant times once bore for their creators and direct audience is a task of marked difficulty without informed knowledge provided by those who used or reused the surfaces. Nevertheless, we can still learn a lot about these ancient peoples if we view their works as historical documents and look for what they told us about themselves unintentionally by creating their distinctive images at particular places and by engaging into dialogues with the landscape and with other graphic – both inscriptional and pictorial – and archaeological evidence. In this chapter, we will visit the rock-art landscapes in two sections of the Nile Valley in Lower Nubia and survey a selection of sites where the character of the rock art from the point of view of thematic, stylistic, structural, and technical aspects and/or the marked spatial and temporal dynamics of the rockart panels allow us to perceive these sites as “Places” – locales of special social or religious significance – in the otherwise profane, albeit through rock art humanised landscapes. Mark Lehner is Director and President of Ancient Egypt Research Associates, Inc. (AERA), an American nonprofit organization, an NGO registered with the Egyptian government as AERA-Egypt. He is now a Research Associate at the Oriental Institute of the University of Chicago. Lehner has carried out archaeological research in Egypt for over forty years. He mapped and excavated at the Great Sphinx and Pyramids of Giza. AERA sponsors the Giza Plateau Mapping Project (GPMP), which conducts annual excavations of Old Kingdom settlements in Giza. His research interests include from settlement archaeology, archaeological method and interpretation, ancient architecture, quarrying and construction, ancient irrigation and water transport infrastructure, ancient society and economy and complexity studies applied to the social sciences. This chapter summarizes architectural and geomorphological evidence of interventions into the floodplain, perhaps as dramatic hydrologically in the low floodplain as are the pyramids architecturally on the high plateau. This infrastructure would fill the requirements of 4th Dynasty Giza as a major international Nile port, a status hinted by analysis of the material culture from settlements along the low southeastern base of the Giza Plateau, showing imported Levantine pottery 7 (combed ware) and wood (cedar, oak, pine, and olive), by the historical context of Old Kingdom Egypt and the “Byblos Run,” by comparison with proven Middle and Old Kingdom ports recently discovered on the Red Sea,” and by the sheer requirement for importing massive quantities of granite and Turah-limestome for building the Giza pyramid complexes.